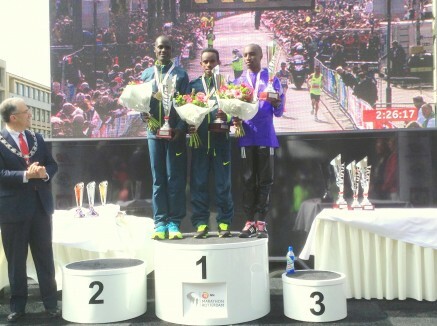 12th April – Three PACE athletes competed in spring marathons today in Rotterdam, Paris and Brighton and all three made a strong impressions their respective races. Frankfurt marathon winner Mark Kiptoo (KEN) was always to the fore in the Rotterdam marathon going off with the pack at world record pace and running strongly throughout the race to finish 2nd in 2:07.20. Mike Kigen (KEN) returned to the Paris marathon and made a bold effort for victory with 10k to go. He opened a 20m lead but was caught in the final 5km and had to settle for 4th in 2:07.42. Duncan Maiyo (KEN) made his European marathon debut with a winning 2:10.14 clocking in the Brighton marathon. Also in Brighton Steph Twell (GBR) took the 10k honours in a time of 32:49.